We've worked hard to have our family unit open by the holidays, and we're excited to finally announce it to the world. With two bedrooms, a hot tub tucked into the trees, a full kitchen a private picket-fenced back garden with a miniature chicken enclosure to interact with our friendly chickens, there's something for everyone to enjoy! Close to golf, hot air ballooning, wine country (Roadrunner Winery is almost walking distance. 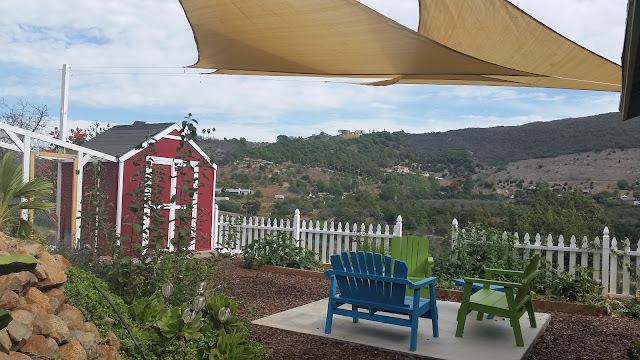 ), Temecula's awesome Saturday Farmers' Market, Fallbrook's artful boutiques and street tacos. Book for a night or more, there's no minimum number of nights. To learn more, click here. We're excited to finally get back into harvesting citrus! 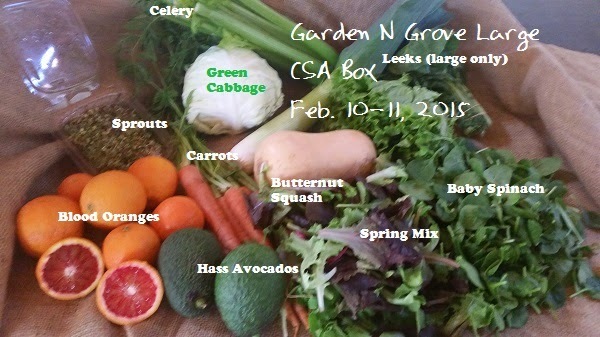 This week's CSA boxes all have the delicious Ruby Grapefruit. They make a great juice, a tangy marmalade, and a tasty sorbet, and their skins can be candied. Grapefruit/Strawberry Sorbet This is a super simple deal. I did a book signing/cooking class at Sur La Table a few years ago, and this cooking store has an amazing little ice cream maker that is worth taking a look at. Tell me that isn't a thing of beauty? With pumpkins everywhere, we all have to ask what to do with them in the kitchen besides carving jack-o-lanterns, always what seems to me to be a waste. 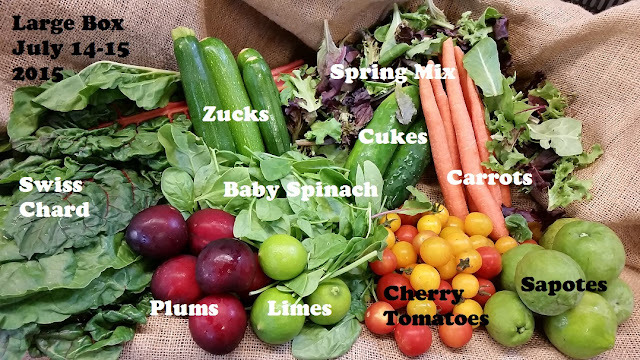 Here's another super simple recipe with impressive results! To get the full affect, I admit you need the little squirt attachment so that you can have the swirled look in the photo. I found mine at Michael's. An easy and well received fudge for the Thanksgiving Holidays! I love this recipe because it's so easy! I'm not into soy milk, myself, but I didn't want to change Amy's recipe so here it is in it's original format. It's awesome! We'll have pumpkin/winter squash in our boxes for a while now, so here's a use for them if you're not planning on making pumpkin pie. You'll notice we're harvesting our guavas this week at last! 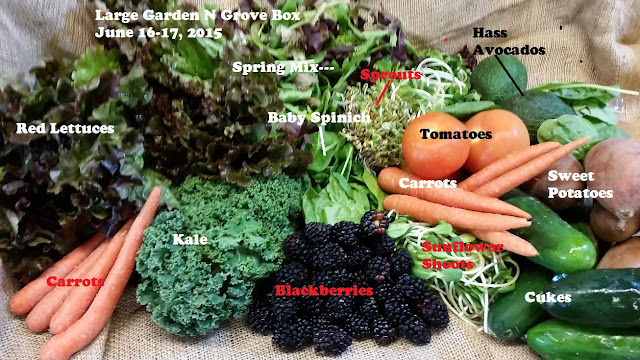 This is the first week of harvest as they're just coming in. Leave on counter until they are slightly soft when pressed, much like you would an avocado. Some people enjoy the skin as I do, others cut long-wise and scoop the delicious flesh out as you would a melon. I like them right out of hand, but have also sliced, frozen and used in smoothies. I also leave the skin on, and slice thin and include in salads. The skin has a minty kind of flavor when perfectly ripe. We need your help to stop a dangerous pro-GMO bill that undermines organic agriculture and the organic label! On Thursday, the House of Representatives will vote on HR 1599, otherwise known as Deny Americans the Right to Know (DARK) Act (HR 1599). Everything in our boxes this week is identifiable except perhaps the sapotes, upper right in the photo image above. 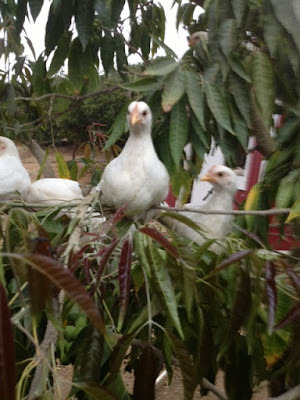 Like avocados, they need to soften after harvest; they will not soften on the tree. Like most subtropical fruit, they are best left unrefrigerated. Leave on your counter until they are slightly soft when pressed and then cut open as you would an avocado. The white, creamy flesh is delicious! Some people enjoy the skin, which is slightly bitter. Others scoop out the flesh and toss the very thin skin. You can also scoop out the flesh and freeze, and add to an ice cream recipe or smoothie. Enjoy! 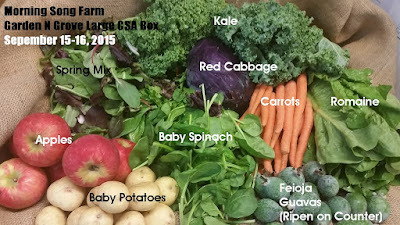 As the crew arrived this morning to finish our Wednesday harvest and pack our CSA boxes for deliveries, more than one remarked that it doesn't feel like ordinary weather today. As in, "Hawaii without the ocean." Unbelievably humid, the air is so heavy and still, the farm's normal tree-branch wind chimes have been silenced. Farm cat leader, Samee, pictured above, has melted in the heat into his Not To Be Trespassed Spot. Such a friendly looking guy, surprisingly, he loses his stuff entirely if any other cat gets near the area in the farmhouse that he has carved out as His And Only His. Don't mistake that relaxed expression. 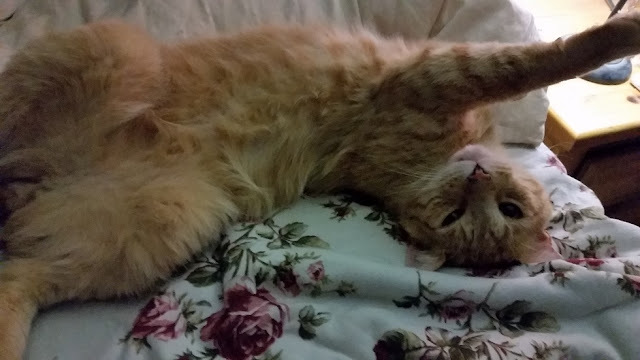 He has no flexibility regarding his stated territorial rights. 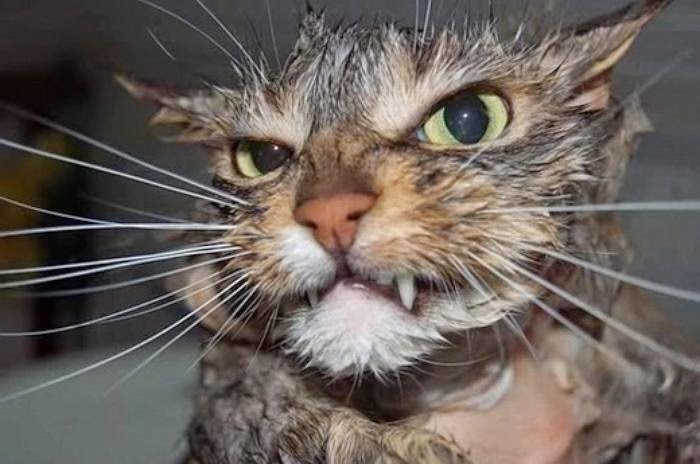 More than one guest here in our farmhouse has leaped out of bed, certain a cat was being eaten alive by a coyote, only to discover Samee expressing his displeasure at a fellow cat's unwelcome venture into his linened turf. We had hoped that we'd get one more week out of the mulberry grove, but the sudden hot spell vanquished all hope there. All the berries fell off on Sunday and the local bird/rabbit/squirrel population are having a berry fest field day. Best mulberries ever, this was a good season for us, as many years we've only gotten a week or two out of the grove. Next year, it will be even better as we learned a thing or two about mulberry management. We also discovered that rattlesnakes like to hang out in that part of the farm, and so next year us harvesters will be "chapped up" with rattlesnake protection, at least in the early weeks of picking when the snakes have gotten accustomed to having the grove to themselves. I’d love to have some feedback on a few rough spots in how we run our CSA administratively. 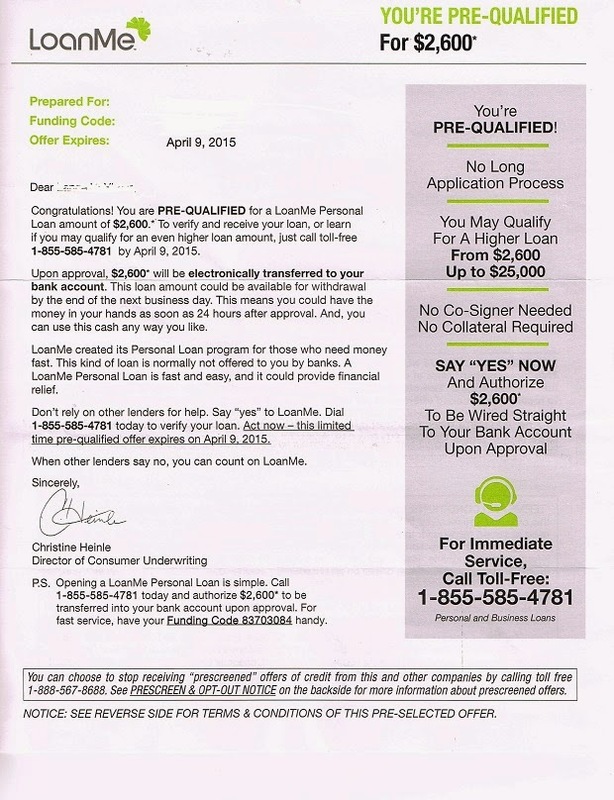 1.For a few years now, we’ve relied on our Change Order link for add-on requests (like eggs, honey or juice oranges) as well as Credit Card updates, vacation skips, and subscription holds/cancellations. 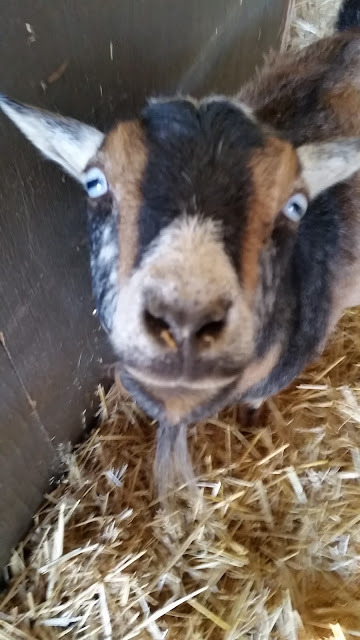 Quite a bit of ruckus going on in the goat barn this last week as Lulu, our gorgeous, spotted Nigerian goat was on the losing end of a tussle with a rattlesnake. We've had an unusual breed of rattlesnakes out here this year, many just don't rattle. It's like they're just too lazy to bother. Which is a bummer, because it's the distinctive sssshhhhhhh of the rattlesnake that alerts us of their presence. There was a couple years, about a decade ago...when the rattlesnakes on the farm were wildly aggressive; just exploding with rattles and hisses whenever someone came near. Those got thinned out pretty quickly because they alerted predators to their presence. Some locals are saying that the California rattlesnake has bred with other snakes and the current breed of rattlesnake is a hybrid. I'm hoping that's just folklore because a non-rattling, lazy but still venomous snake is pretty bad news. We're excited to see the start of 2015's Mulberry Season. 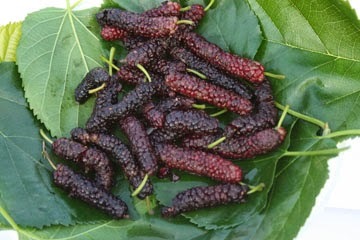 For those who haven't yet tasted the wonders of a Pakistani Mulberry, this fruit is really special! Never disappointingly sour like a blackberry can be some years, the Pakistani Mulberry can even be enjoyed when completely unripe and green. Not that we pick them green, but I have found myself impatient for the ripe versions over the years and was surprised to discover they are totally tasty even green. 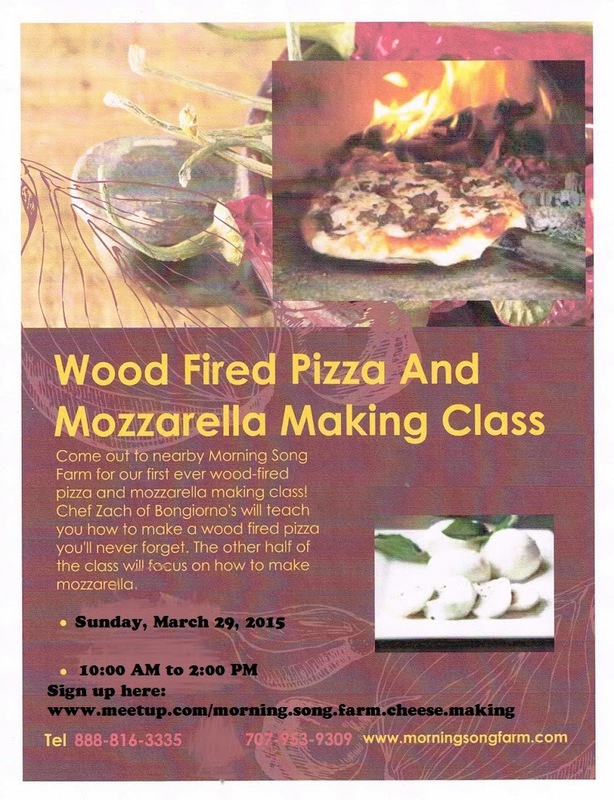 Wood Fired Pizza and Mozzarella Making Class March 29th! 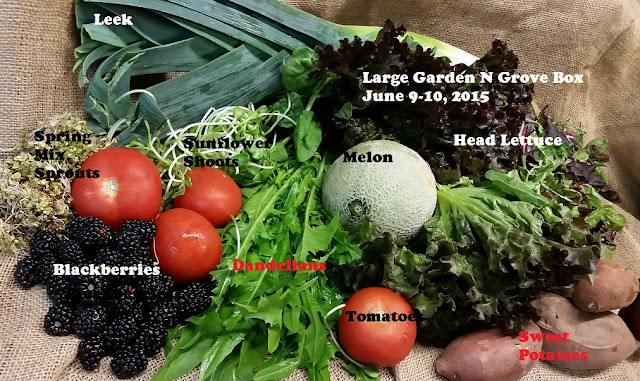 Here's the image for yesterday and today's harvest. The blood oranges have colored up nicely with the help of January's frosts. This doesn't happen every year for us, so it's always gratifying to see how amazingly red our Moro's become when Mother Nature cooperates.